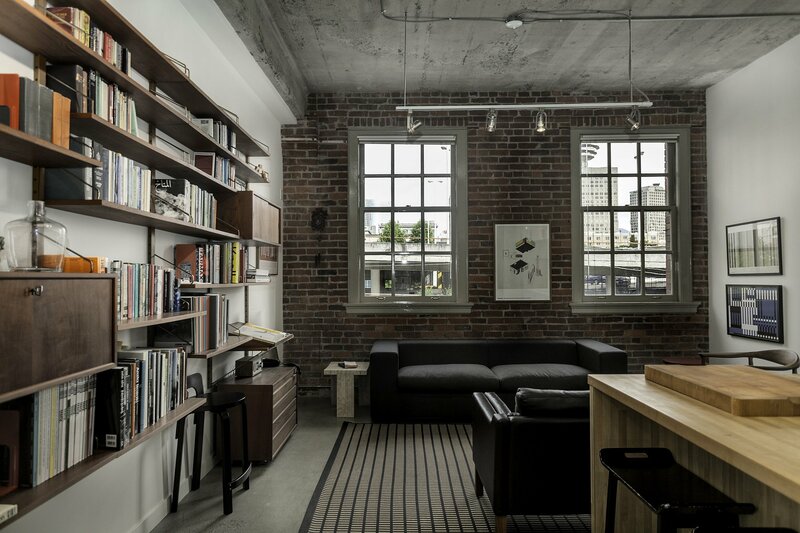 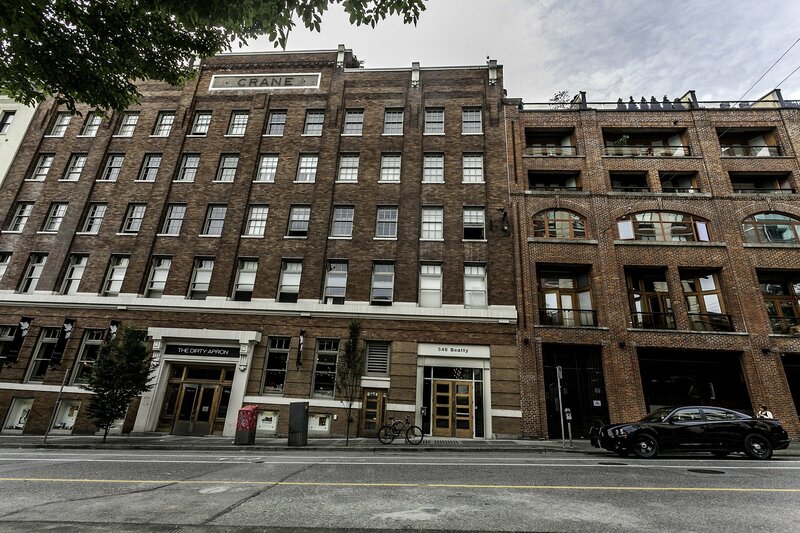 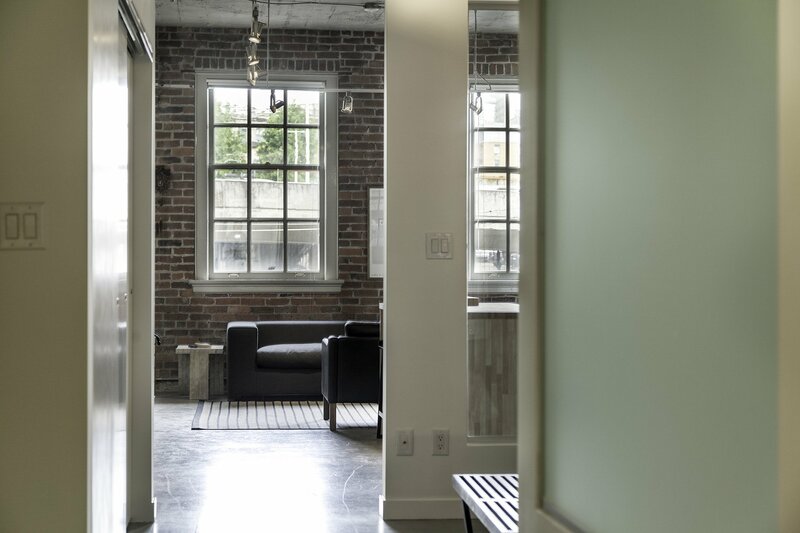 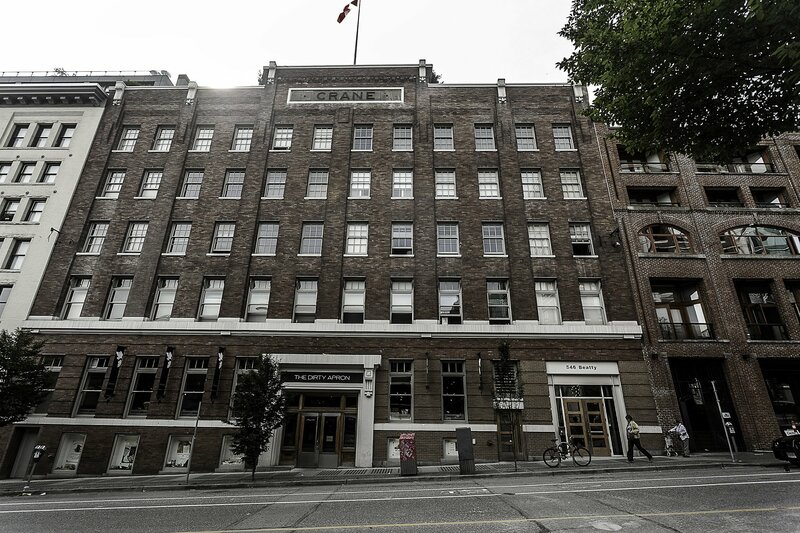 Amongst Vancouver's most desirable loft conversion buildings, "Crane Lofts" which was first built in the early 1900's and is located along the coveted 500-Block of Beatty Street. 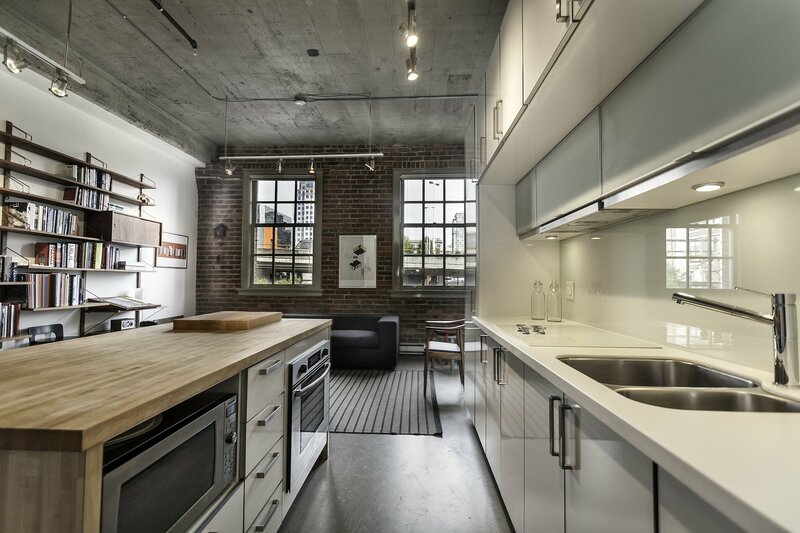 Solid concrete construction, matched with brick and steel. 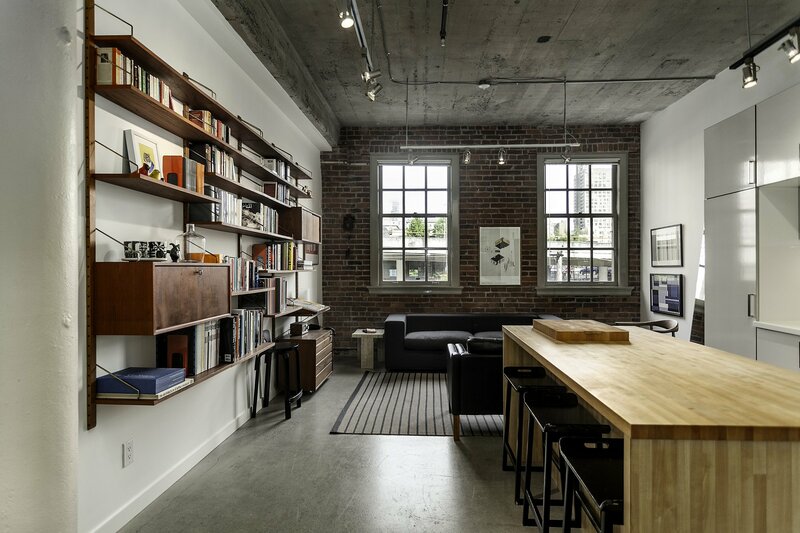 An architects own home detailed to perfection. 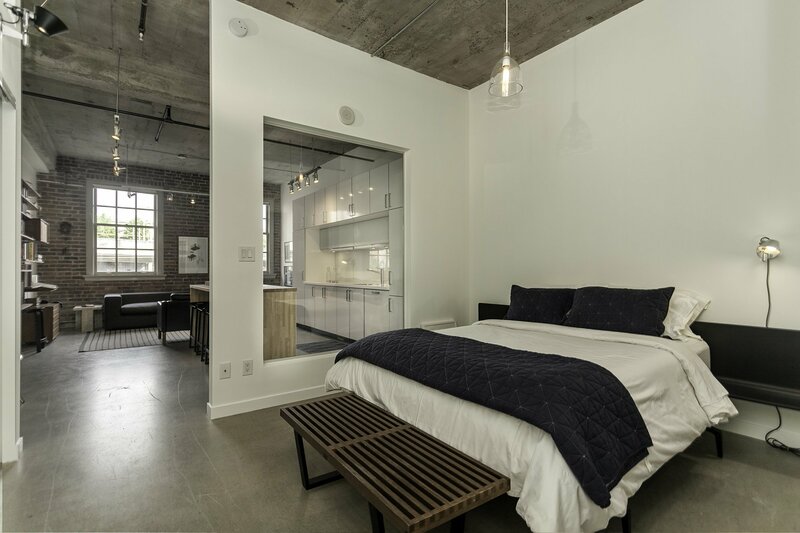 Spacious designed loft with high 10'10" ceilings, polished concrete floors, exposed brick walls, and restored classical windows. 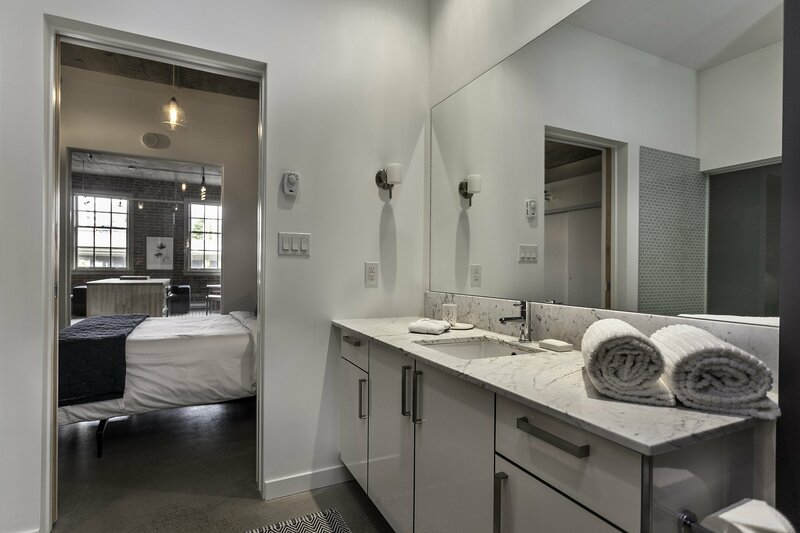 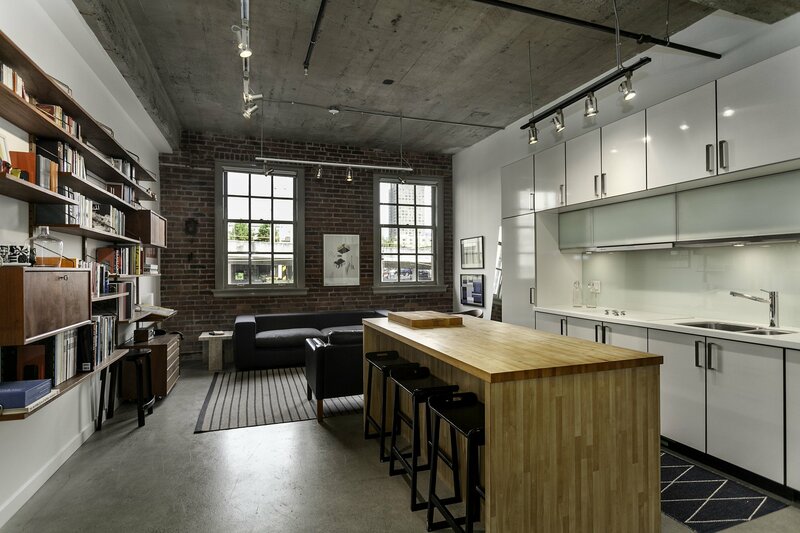 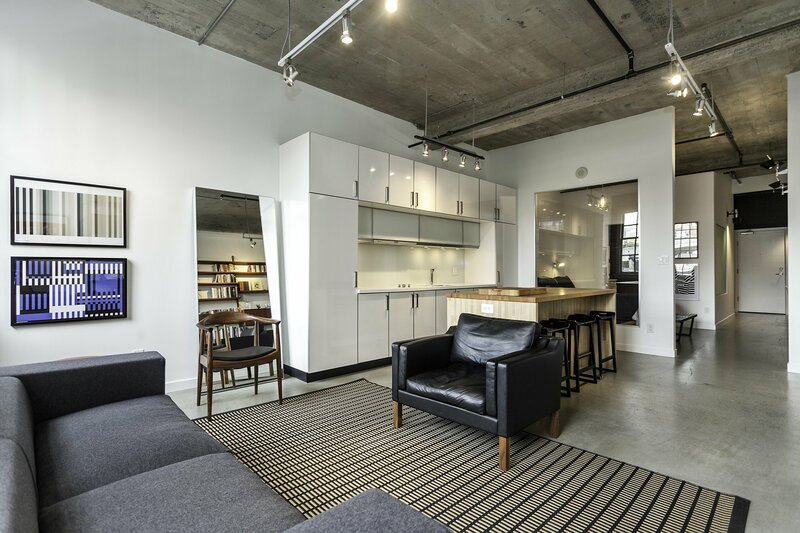 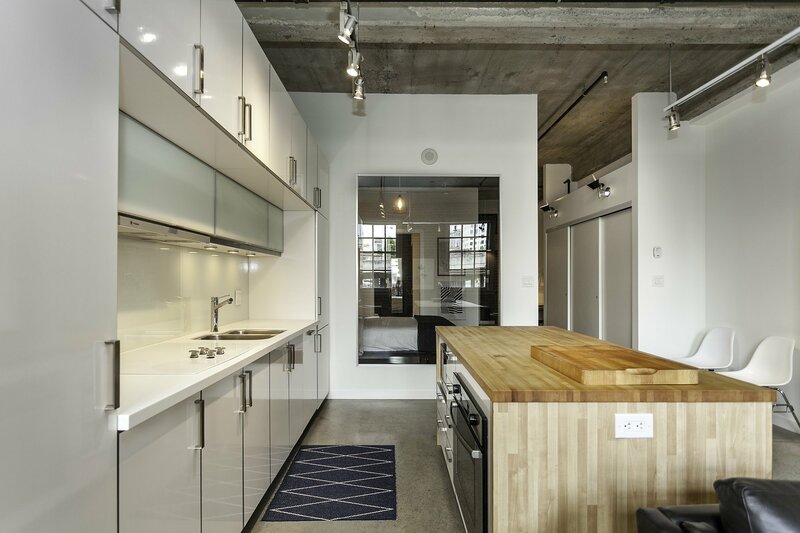 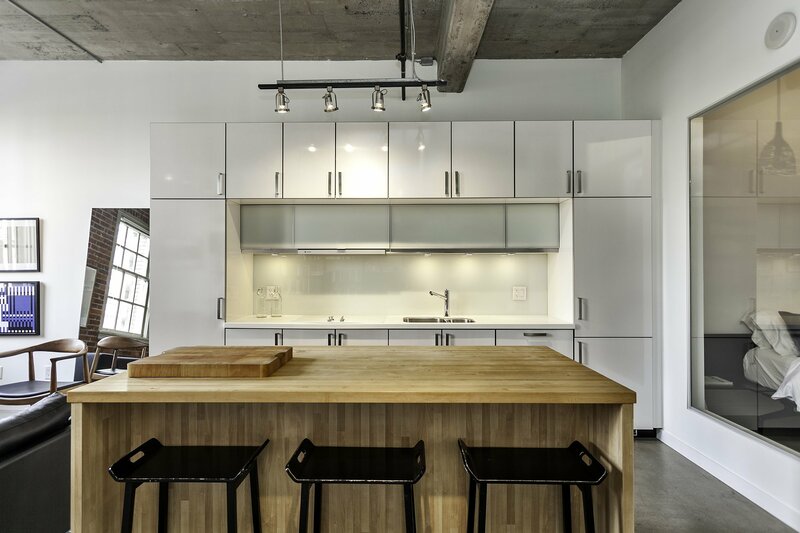 Converted to a modern sleek loft in 2009, which includes European style kitchen with Jenn-Air & Liebherr integrated fridge, wood butcher-block style kitchen island, and a luxurious bathroom with marble surfaces and high-end fixtures. 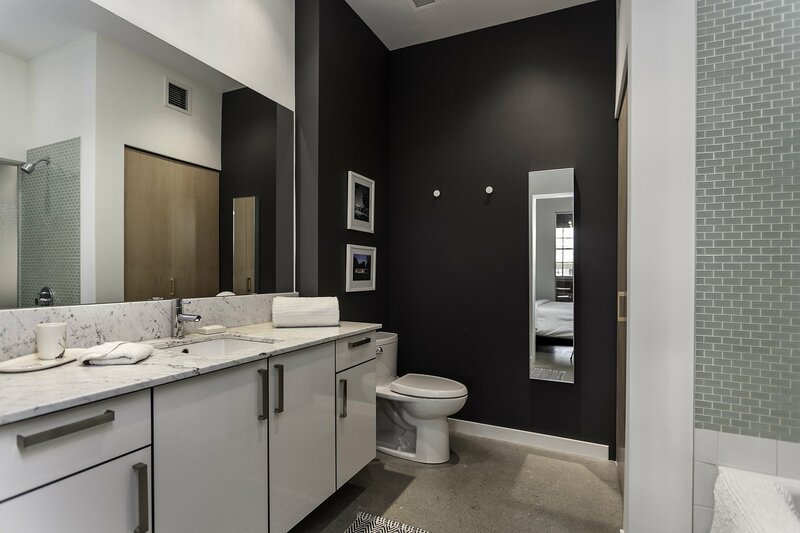 Customizations include designer lighting and an opened entry way. 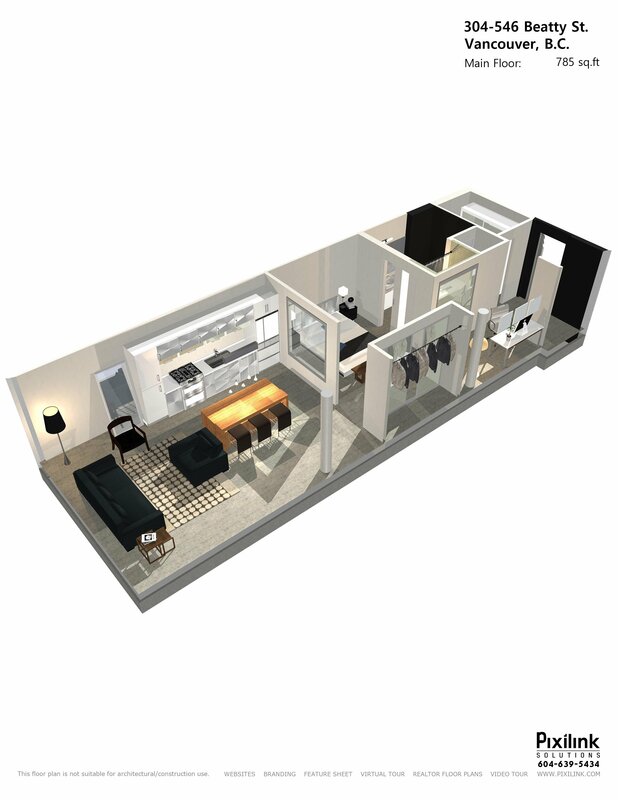 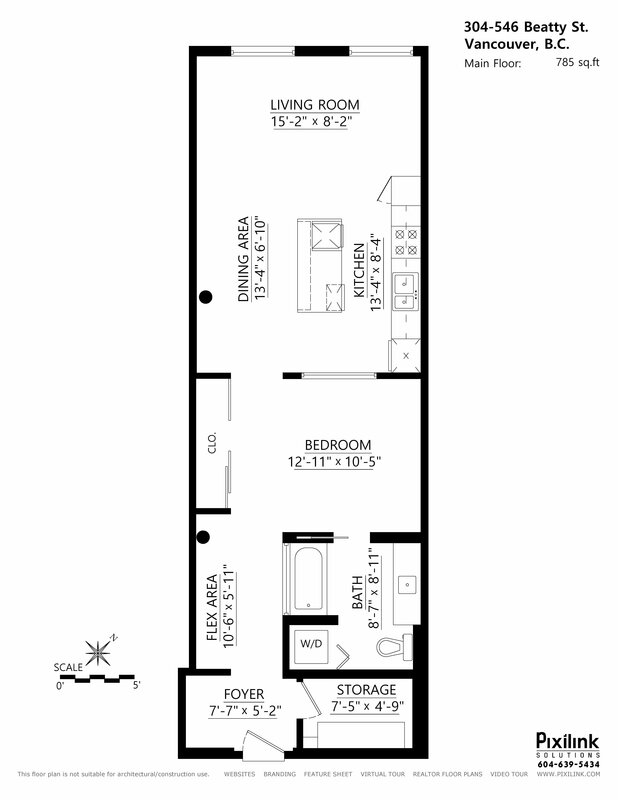 Well designed floor plan with generous sized bedroom, office area, and storage room. 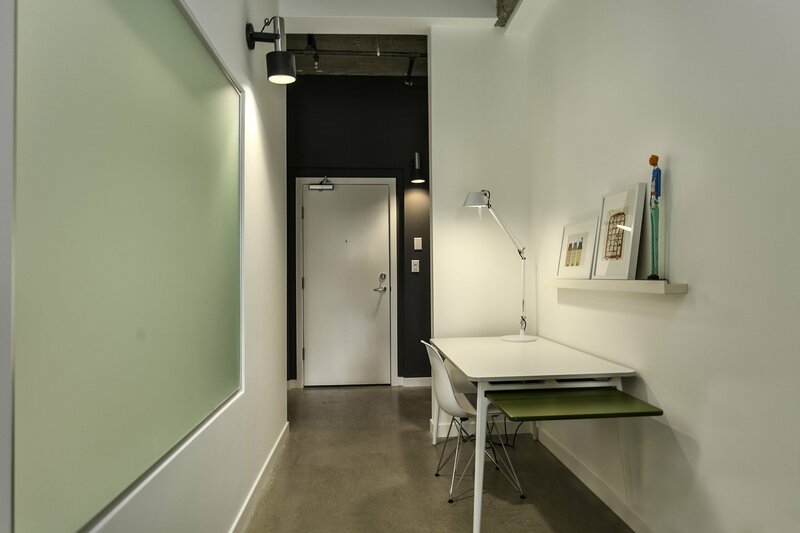 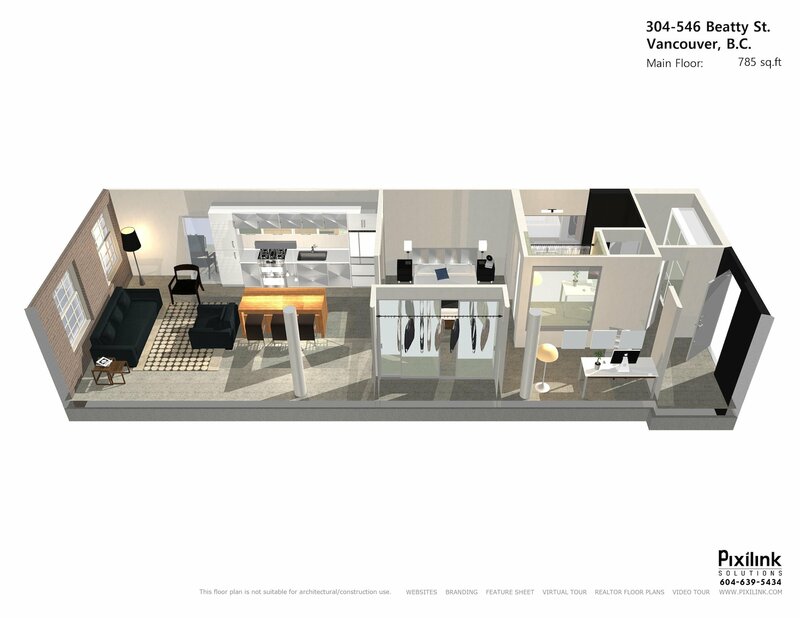 1 underground secure parking space, dog-wash station and the strata allows for 2 pets (no size restriction) and rentals. 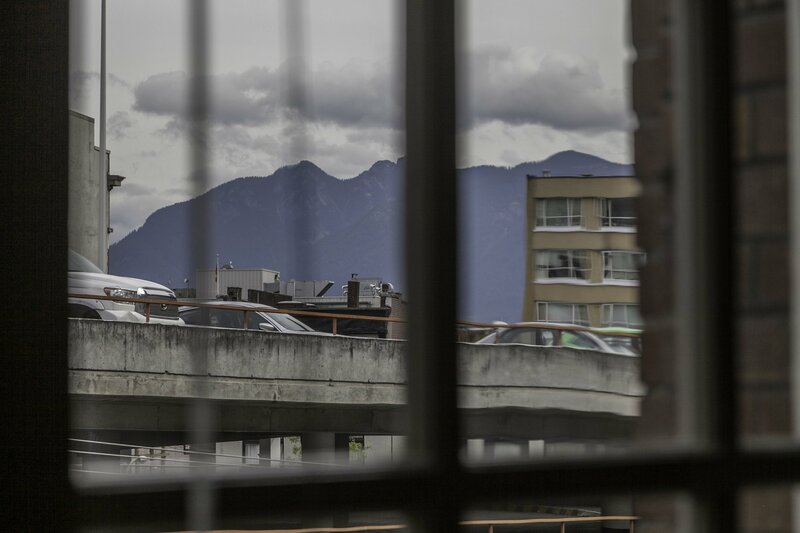 Steps from a Skytrain Station, Gastown and Yaletown. 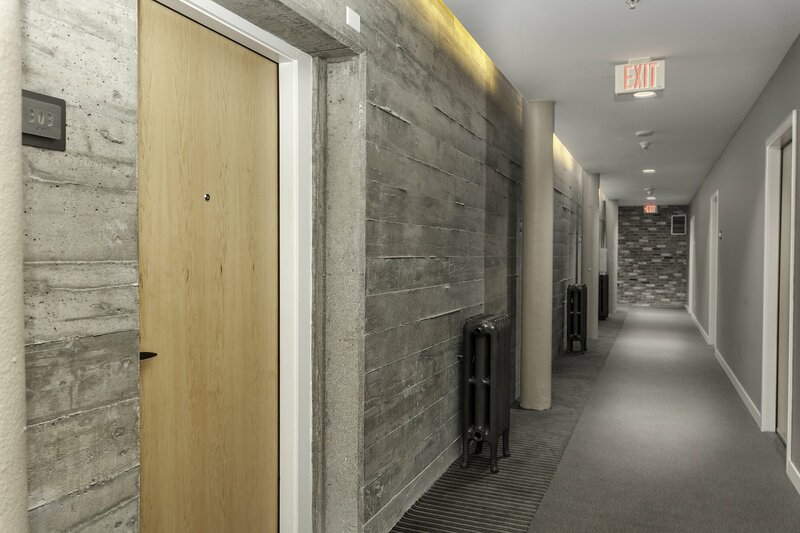 Call for early access. 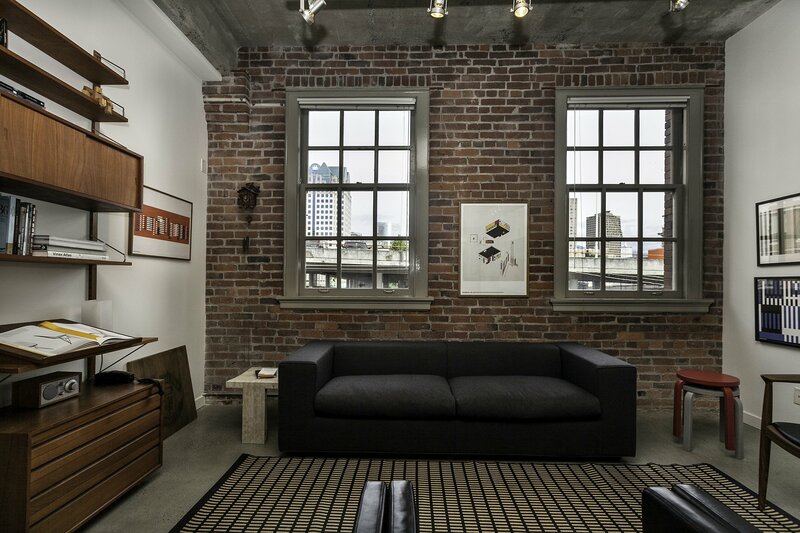 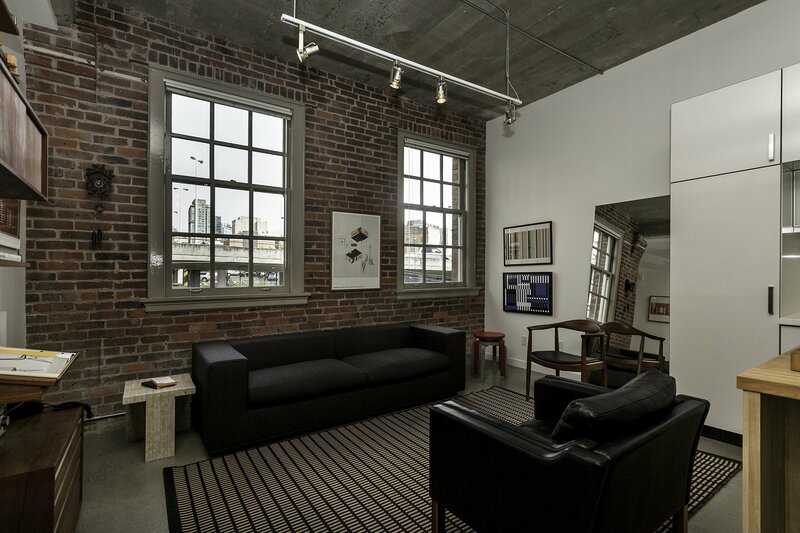 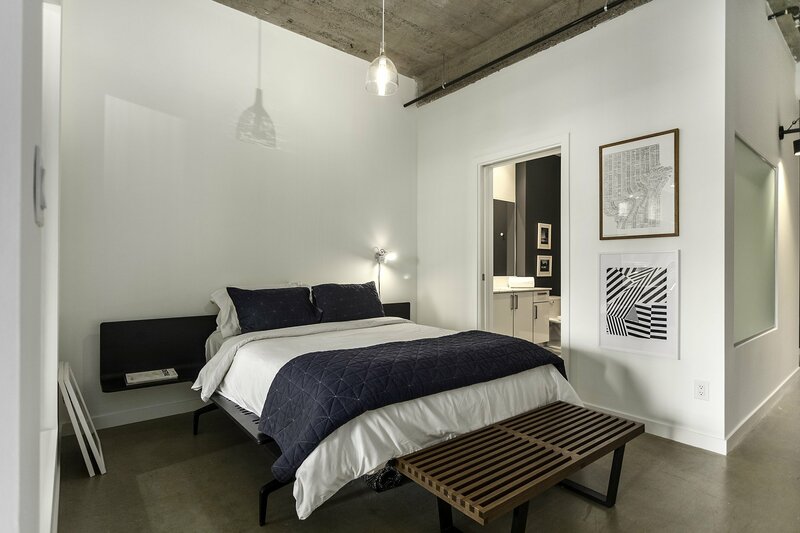 Decoist.com Feature Artice: "Historic Loft Brings Together Rich Heritage And Contemporary Comfort"